From the Producer: Our weathervanes are made of 14 gauge steel and come with a one year warranty on the finish and a lifetime warranty on all workmanship. We use a 3 step finishing process. First we zinc plate our units for better adhesion and durability, then we bake on an antique copper vein powder coat followed by a clear powder coat to protect against UV rays. This provides a durable, scratch resistant nish. We use sealed ball bearings in our windcups to keep them spinning freely with even the slightest breeze. Our design tops are laser cut in one piece, minimizing welding and making them a unique and desirable product. Our tops are interchangeable and easy to change. 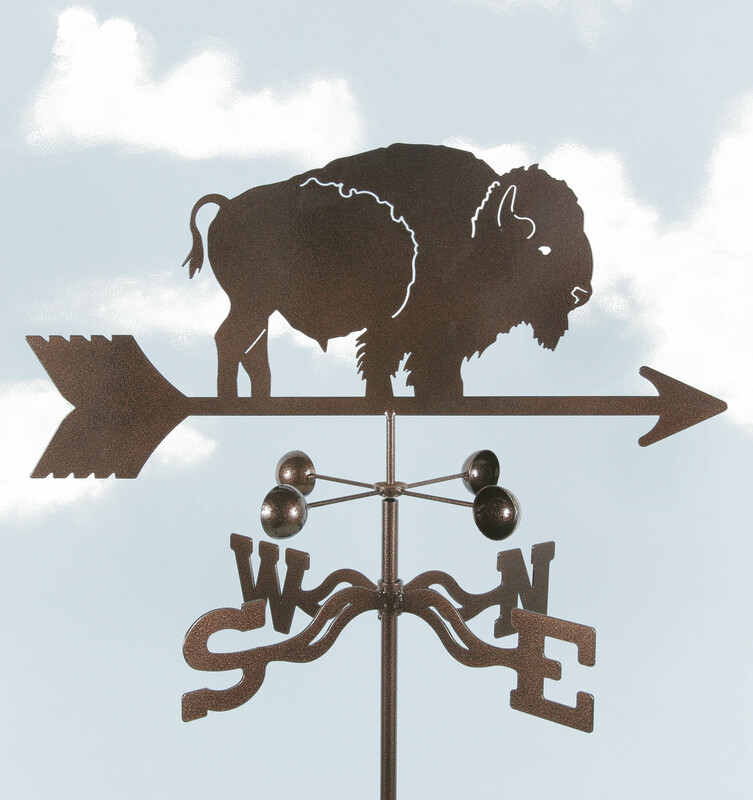 But also the Weathervane ships directly from the manufacturer and can only ship within the lower 48 of the United States, please allow for additional shipping time.